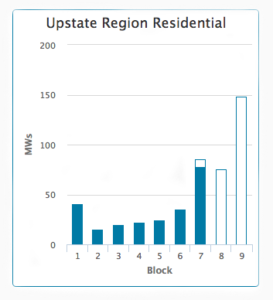 The per watt grant offered to residential solar consumers in upstate New York is about to drop by 0.10/watt sometime in the next six weeks (projected). The average consumer puts in a 7.5 kilowatt system, meaning an average loss of a $750 cash rebate from New York State. New York State is divided into three basic regions for purposes of solar grants: Upstate, Con Edison, and Long Island. These regions are further subdivided into residential and commercial solar. 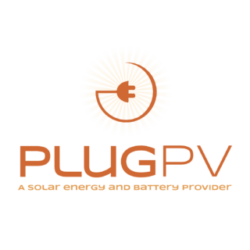 PlugPV focuses on residential solar in upstate New York. Each region has been assigned NYSERDA grant funds in megawatt blocks to encourage the growth of the renewable energy sector. 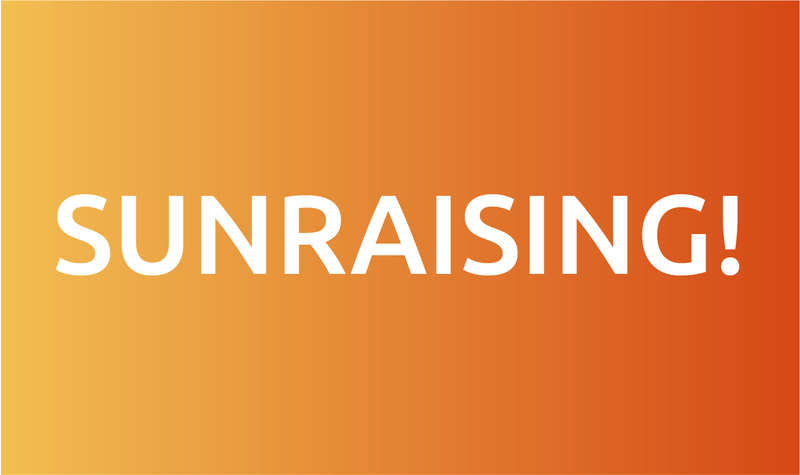 The upstate region was offered a $1.00/watt rebate for the first 40 megawatts of residential solar built. Then a ten cent drop per watt went into effect for the next block of megawatts. This pattern has repeated six times since 2014 when the program began. We are currently in the seventh megawatt block which offers a 0.40/watt rebate for 85 megawatts of power from residential consumers before dropping ten cents/watt. Only seven megawatts remain in the block that was originally 85 megawatts. Based on current sales across the state, we project that those seven megawatts will be reserved in the next six weeks and the next drop in NYSERDA rebates will hit in the beginning of September. How Do I Get My NYSERDA Rebate? 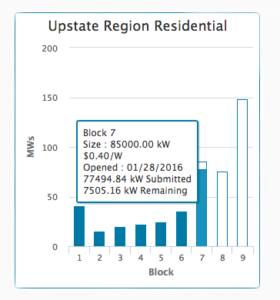 The eighth megawatt block offers a 0.30/watt NYSERDA rebate instead of the 0.40/watt rebate we’ve enjoyed since January 2016. There’s no doubt that this rebate is still generous. It allows many people to own solar who wouldn’t be able to otherwise. However, if you’ve been debating the best time to go solar, you can stop on a dime. The best time to go solar is right now. Take advantage of the 0.40/watt NYSERDA rebate that is currently being offered to residents of upstate New York. Go solar today! If you’re still learning about solar, check out our article – Going Solar: I have so many questions or call PlugPV at 518-728-4083 for a free solar consultation.